They took him out of mothballs Saturday night. They knocked the rust off. They chased the spiders away. And then they turned the game over to Louis Domingue, super-sub. 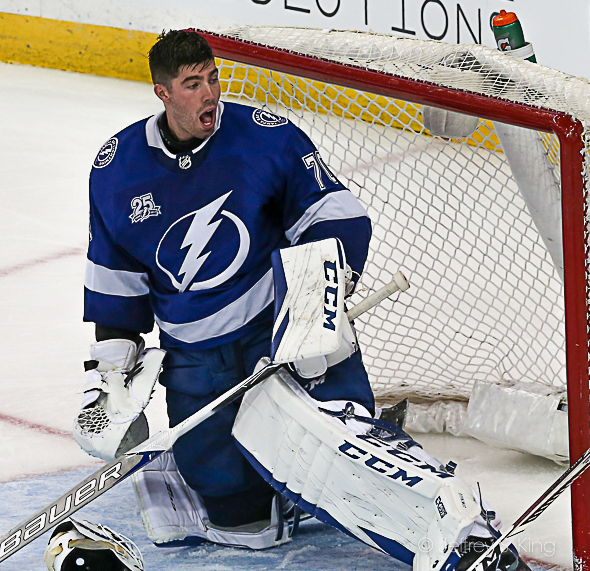 Domingue, the backup goaltender of the Tampa Bay Lightning, again stepped in front of a net and kept his team winning in Saturday night's 3-2 victory over the New York Rangers. Domingue ran his record to 17-4 with the victory. He's won his last nine starts and 12 of his last 13. Domingue stopped 31 of 33 shots, and continued to be the NHL's winningest backup. It was Domingue's first game since Jan. 12 and only his second since Dec. 20. Despite the inactivity, he was sharp, especially after the Rangers narrowed the Lightning lead to one goal. So how does he stay sharp on the bench? Stamkos scored his 28th goal of the season. In 52 games, he has scored more than he did a year ago (27) in 78 games. 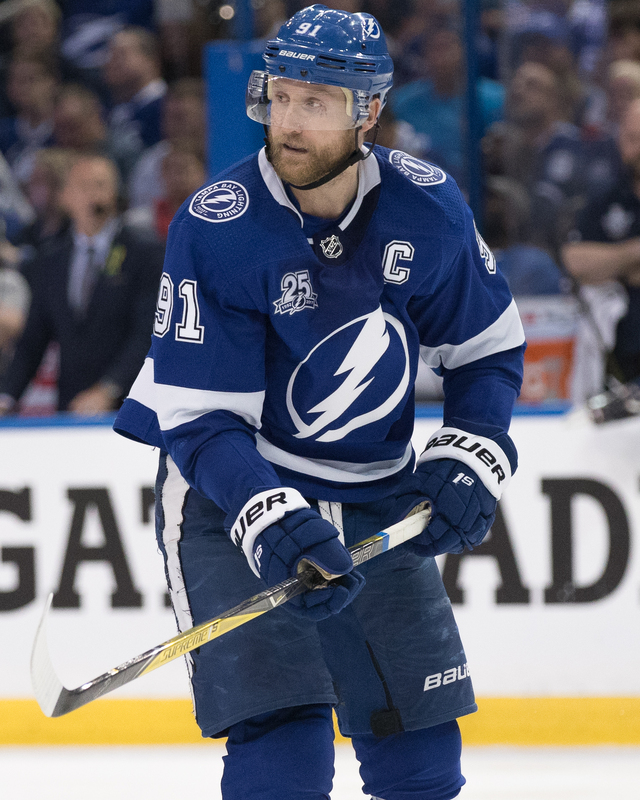 “When you win a lot of games throughout the season, you’re going to win in different ways and you just have to be comfortable in winning different ways," Stamkos said. "We knew we had a two-goal lead going into the third. We did hang on. That’s the way it’s going to be coming down the stretch and in the playoffs. You’re going to have leads in the third whether at home or on the road and you’ve got to find a way to win those. We’ve relied on our depth a lot this year, and that’s what happens. Erik Cernak scored the first goal of his career in the victory. The Rangers fell behind 3-0 (Yanni Gourde also scored) but trimmed the lead to 3-2. “The Rangers had their legs, and we were kind of holding on there in the beginning," Lightning coach Jon Cooper said. "Louis made some big saves for us. We didn’t give up a bunch of chances in the game. We gave up a bunch of zone time but when we did, Louis was there. We talked about what we had to do in the second, and for about a 12 to 15-minute run there, that’s where we turned the game around. Unfortunate to give one up late there in the second and then we just make one mistake in the neutral zone on the power play and all of a sudden you’re hanging on. To the Rangers credit, they pushed. The Bolts now return home to face the Vegas Knights on Tuesday night. The puck is scheduled to drop at 7:30 p.m.
Wow! The Bolts seem to always seem to have a strong edge in the goalie position the past several years! Luck or smart Management? A bit of both. vasilevskiy was smart management. They drafted him, recognized he had it when higher rated goalies didn’t and turned him loose. Domingue was a lot of luck. No reason to expect a waiver wire guy to be this good. Previous post: Ask Gary: Should the Bucs consider Kareem Hunt?